Pretty as a picture and move-in ready! This three bedroom, two bath home, with a two car garage, is located on a cul de sac inside the much sought after subdivision of Southborough. 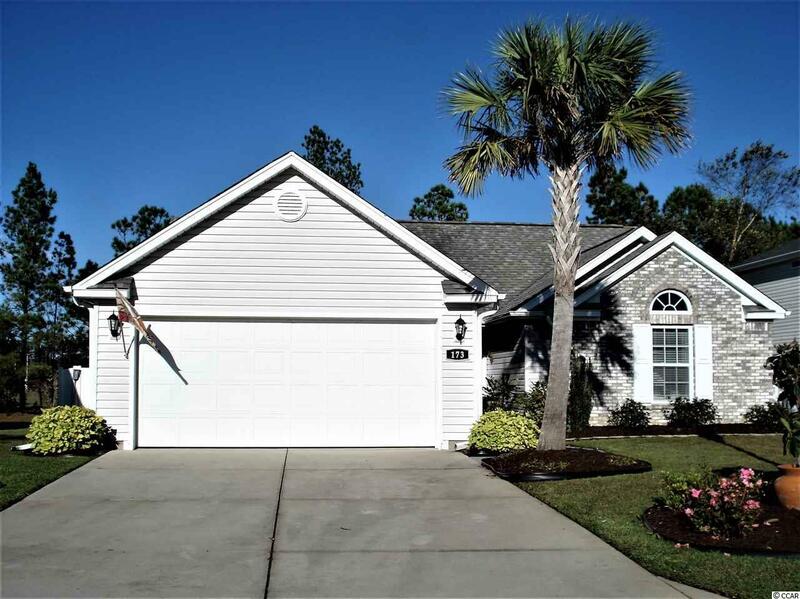 Its proximity to the beach and one of the best school district on The Grand Strand makes the location very desirable. The backyard would be perfect for a pool and a great place to hangout to live the dream! The owner has added many upgrades to include a brick terrace with built-in wood burning fire pit, patio cover, lawn sprinkler system in the front and back, recent new microwave and hot water heater, french doors off of the great room leading to the terrace, laminate flooring throughout, refinished kitchen counter tops, window treatment, and a privacy fence surrounding the backyard. The large kitchen includes a breakfast bar, pantry, and laundry room, a breakfast room off the kitchen, vaulted ceilings, master walk-in closet, a linen and coat closet, stairs to the attic, and master bath walk-in shower. You are permitted both a golf-cart and motorcycle in Southborough. Put this one on your short list to see. I promise you will thank me! All measurements are deemed accurate, however, are not guaranteed. If they are important to you, it is your responsibility and that of your Realtor, to record your own measurements.